I have made these chocolate banana muffins several times in the last week and they disappeared so fast. Of course, adding chocolate (and lots of it) to the batch of banana muffins tends to make that happen. 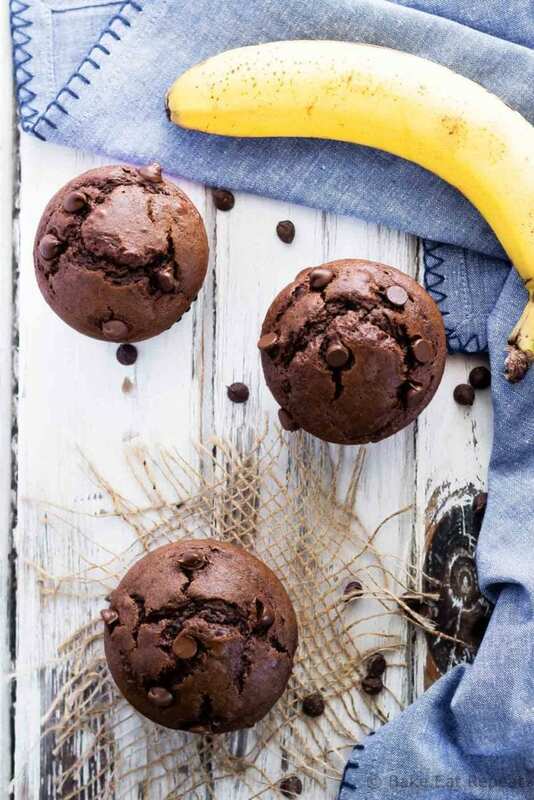 I will admit that these chocolate banana muffins are less healthy then the usual muffins coming out of my kitchen. 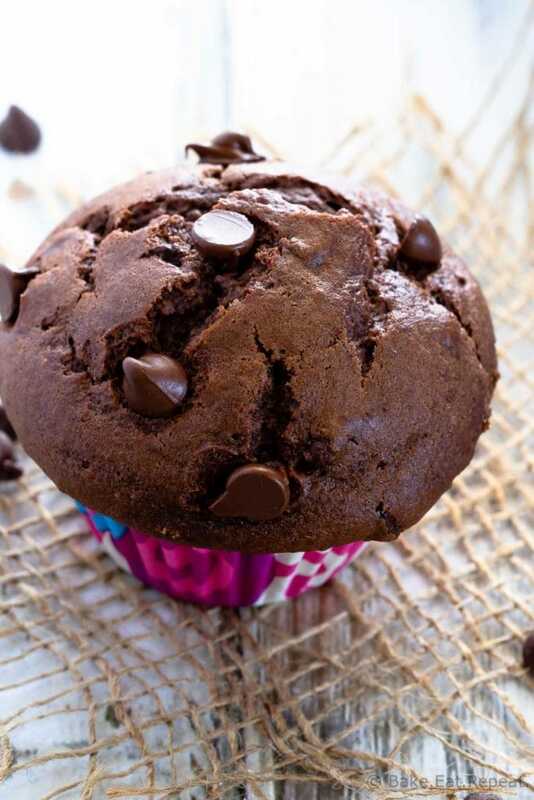 They are very similar to these chocolate zucchini muffins, and both of them are very chocolatey. I’m okay with that, but if you’re looking for a healthier breakfast style muffin, you will likely be happier with these apple cinnamon muffins instead! 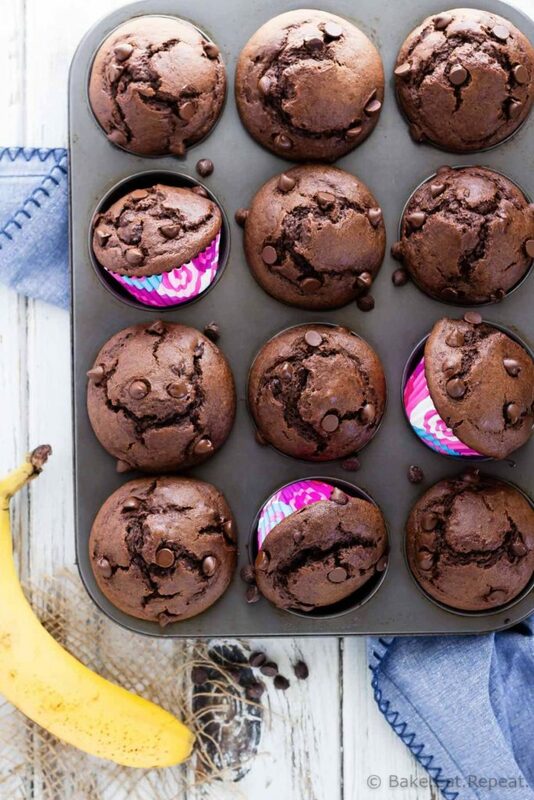 These chocolate banana muffins? They’re kind of like a cupcake masquerading as a muffin. But hey, if you’re okay with that, they are definitely delicious! And quick and easy to make too. I like to use all purpose flour for muffins, but often use half whole wheat flour as well. If I really want them to be a healthier muffin I will use all whole wheat flour, but that does make for a noticeably denser muffin than one made with all purpose flour. I find that half and half still keeps the muffin light, while adding some whole grains to the muffin so it’s a bit healthier. You can just spray your muffin tin with cooking spray, or use paper liners. I tried these muffin liners (that’s an Amazon link – they were way less then that at the grocery store where I found them!) for these muffins and they popped right out, so they work very well if you want liners that don’t stick at all. 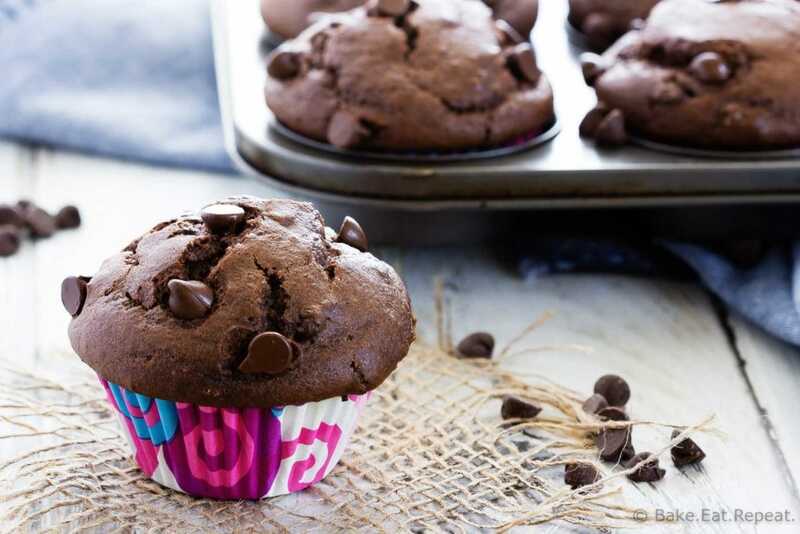 I’ve also shared this Chocolate Banana Muffins recipe over on Food Fanatic.